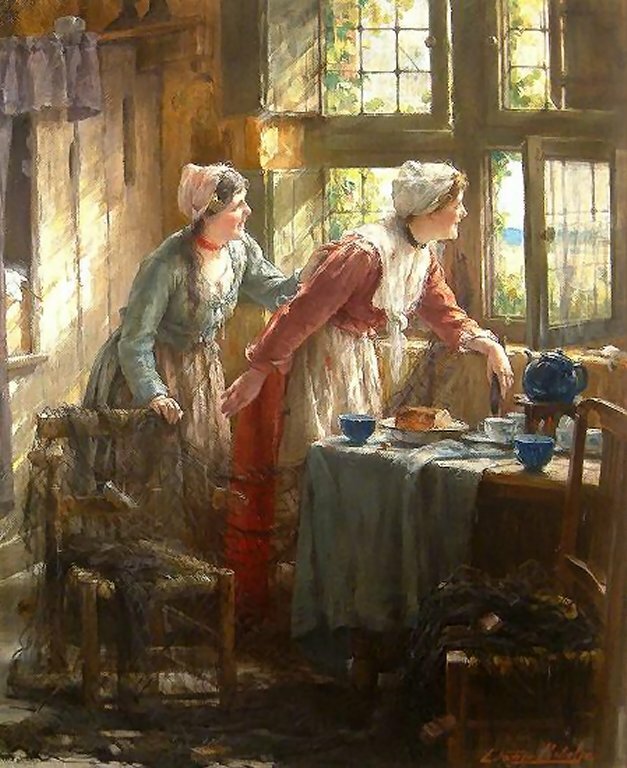 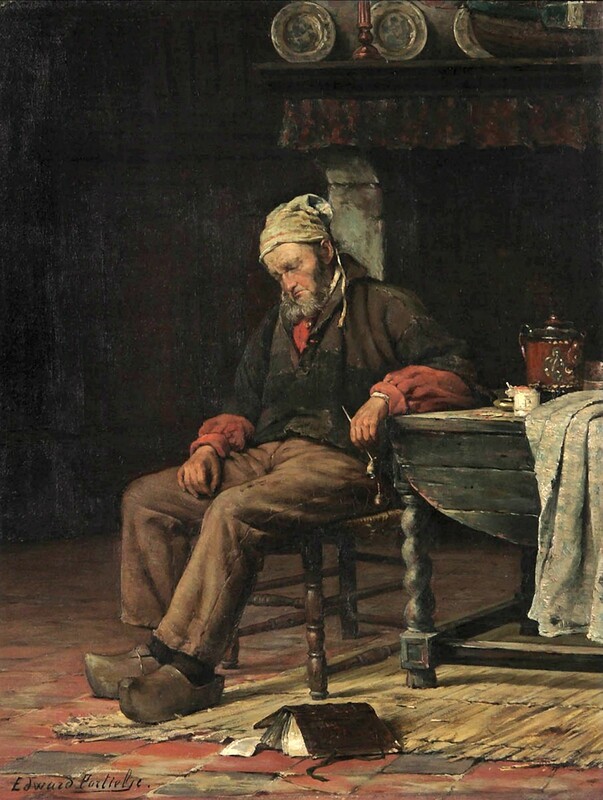 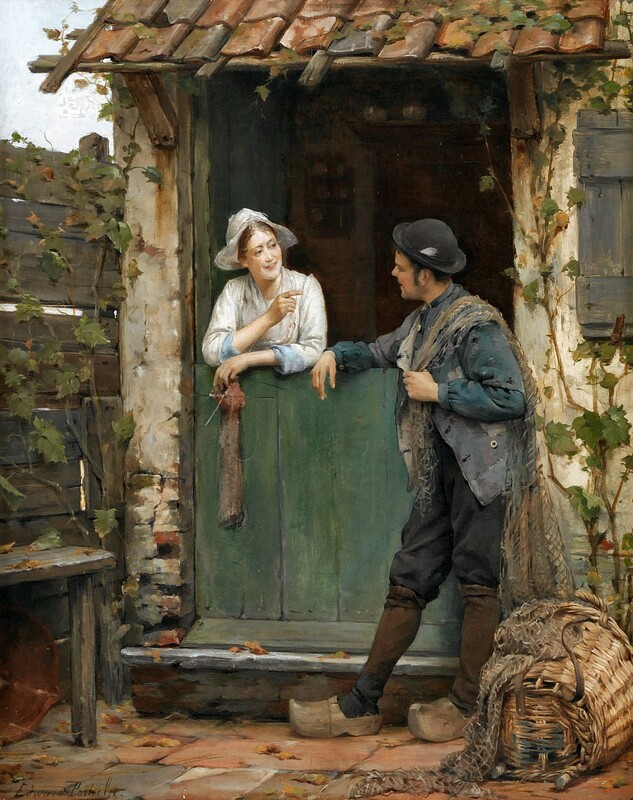 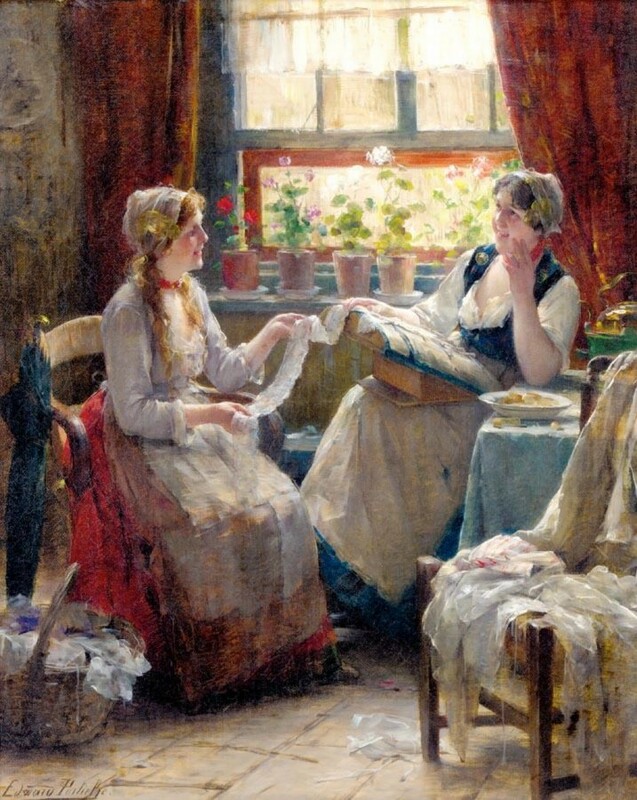 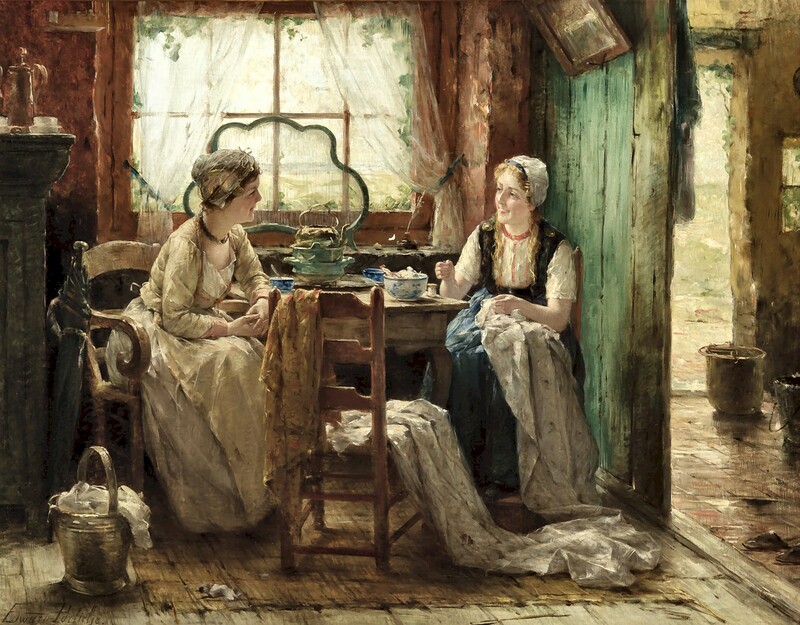 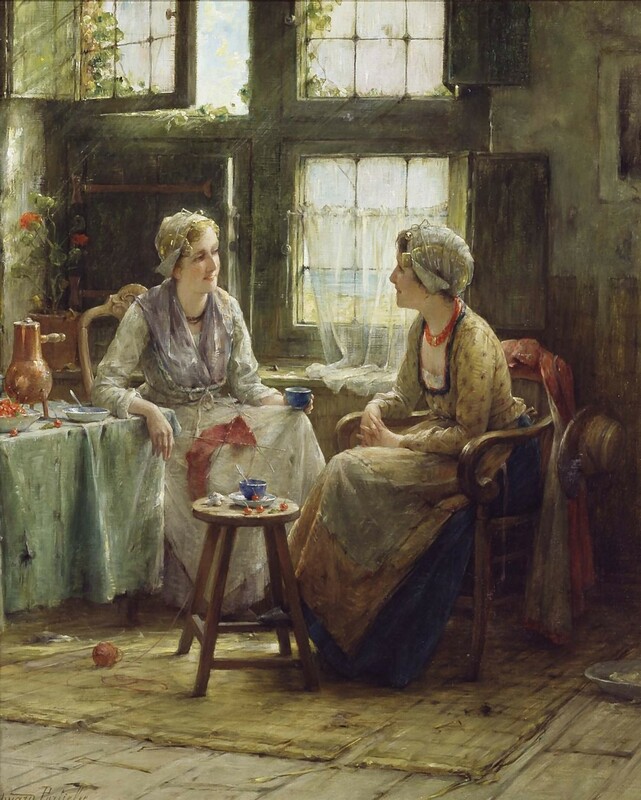 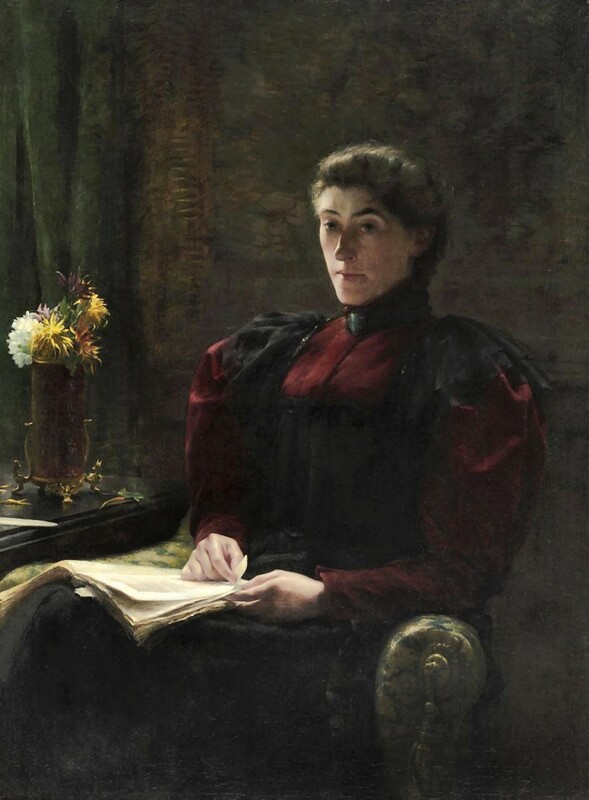 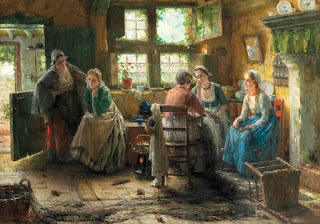 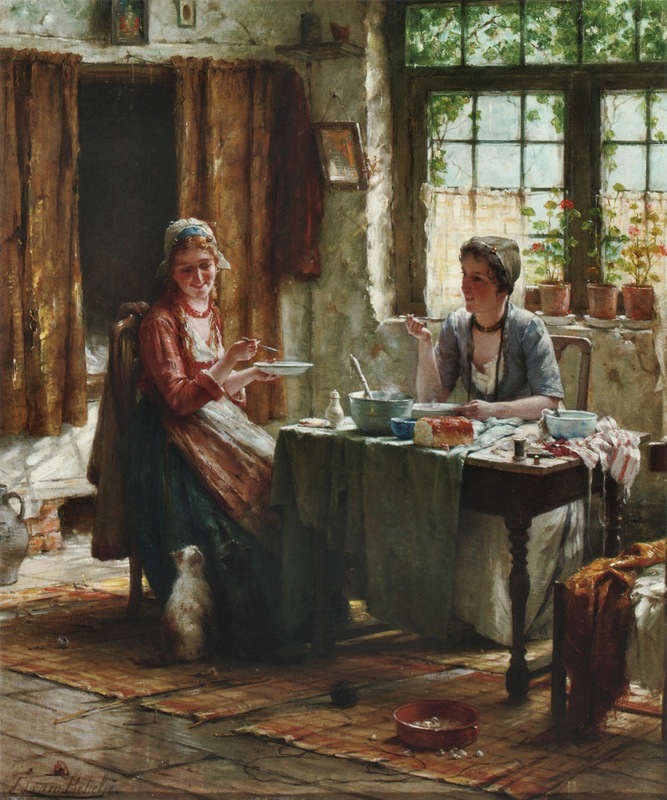 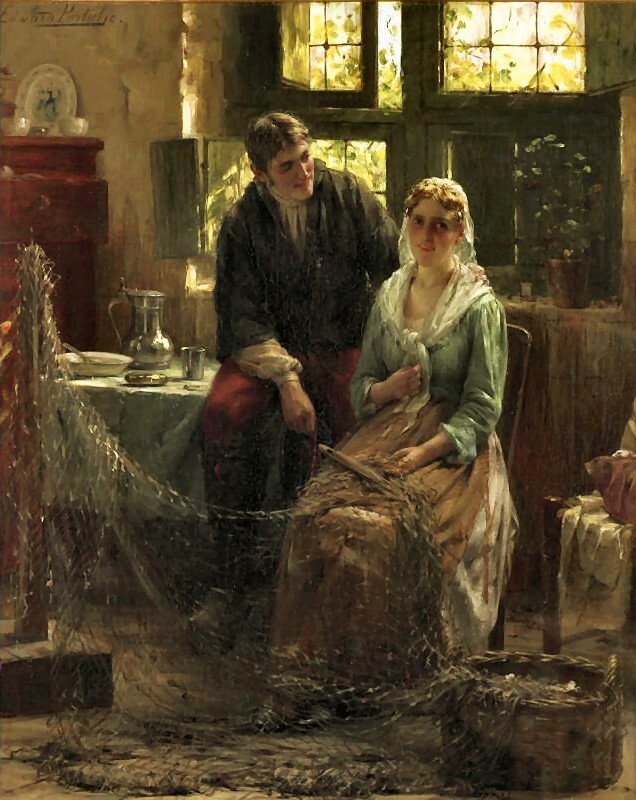 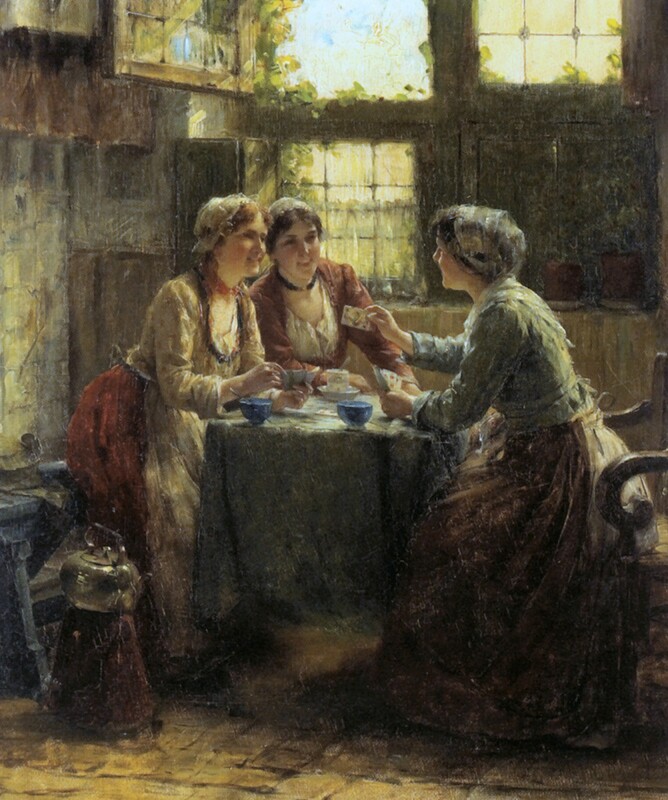 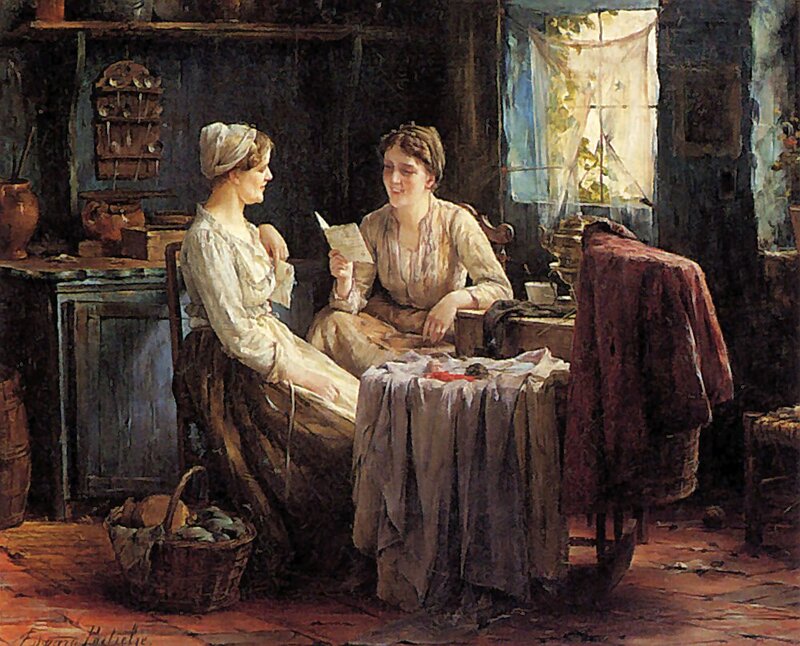 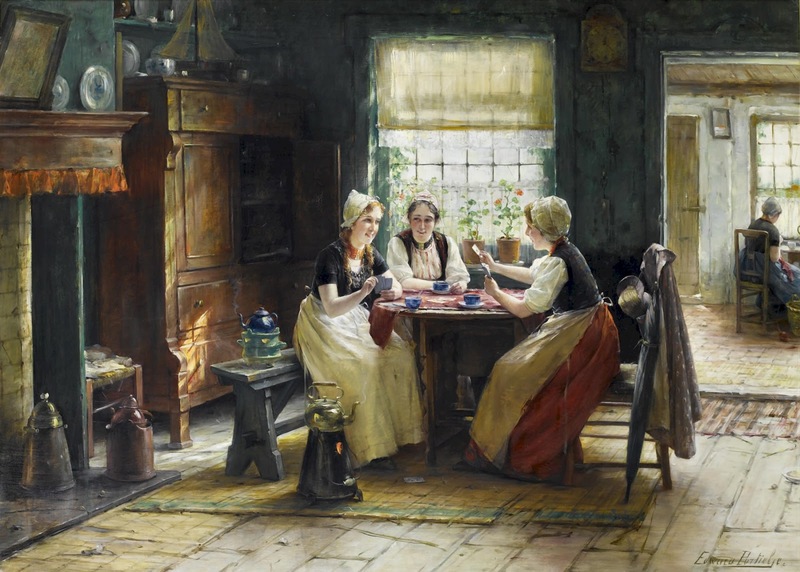 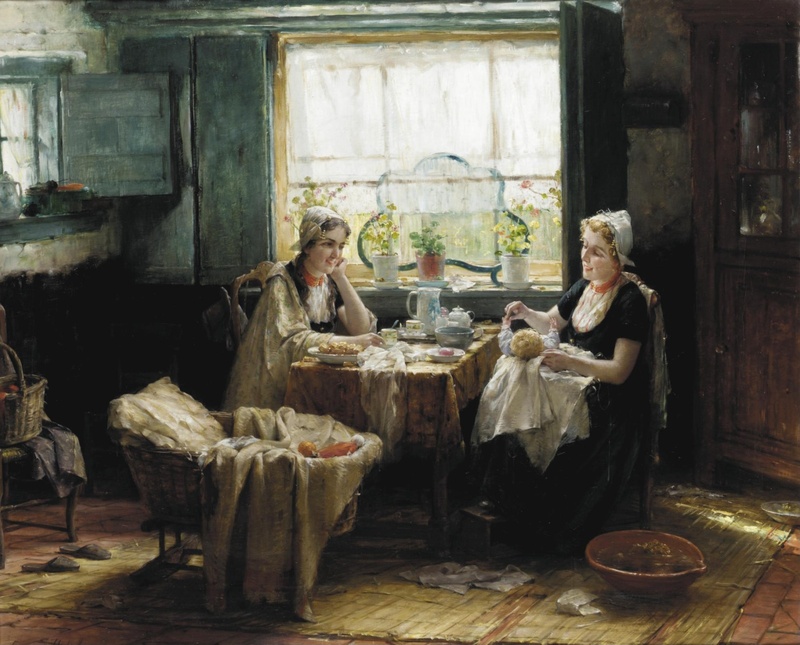 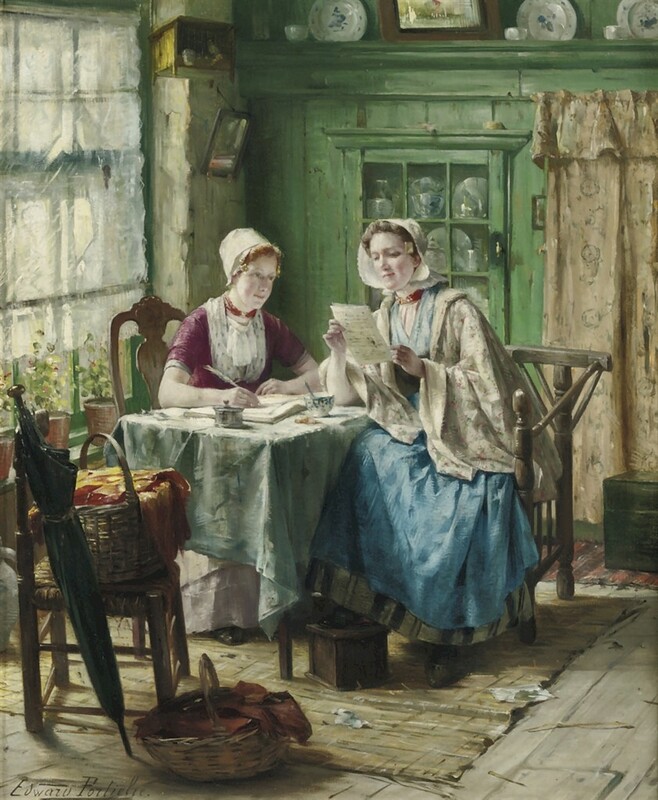 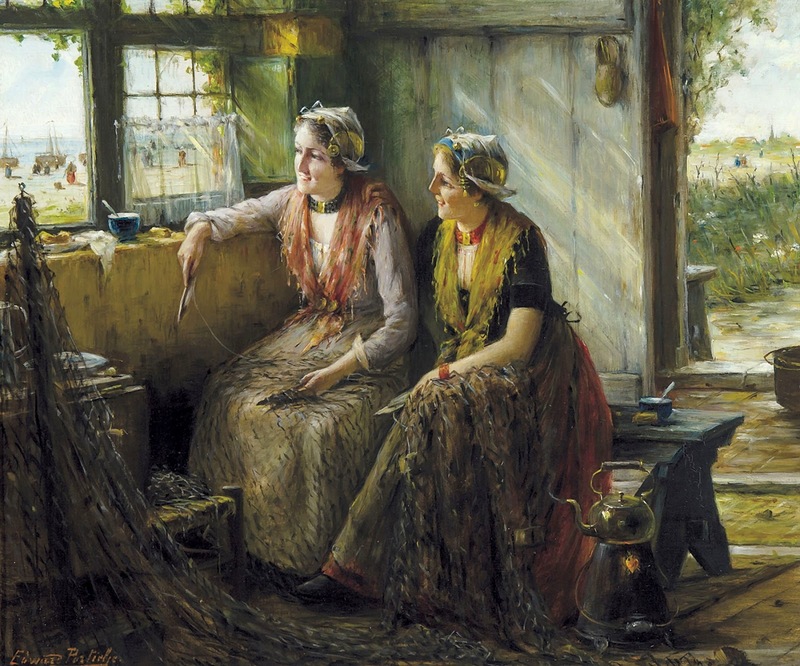 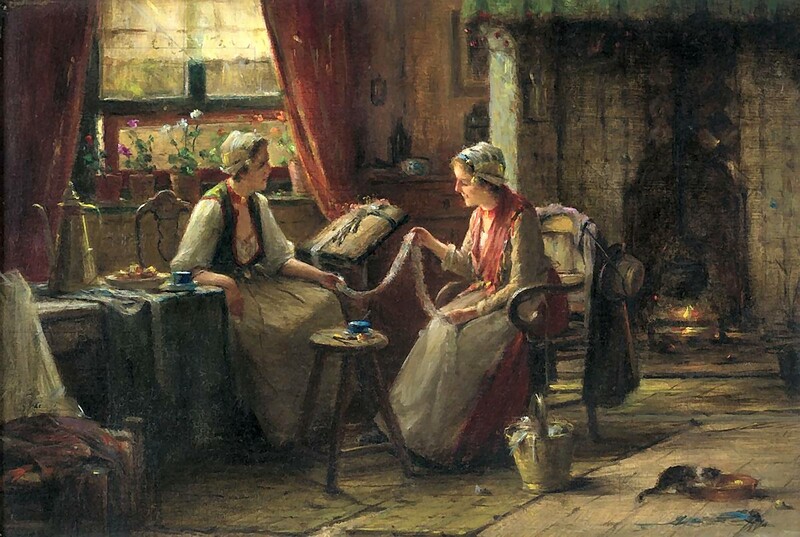 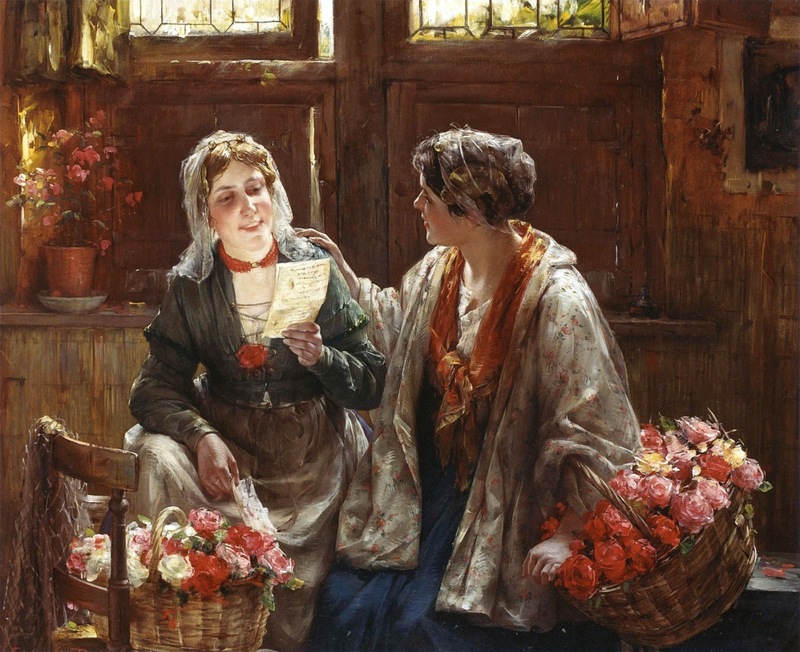 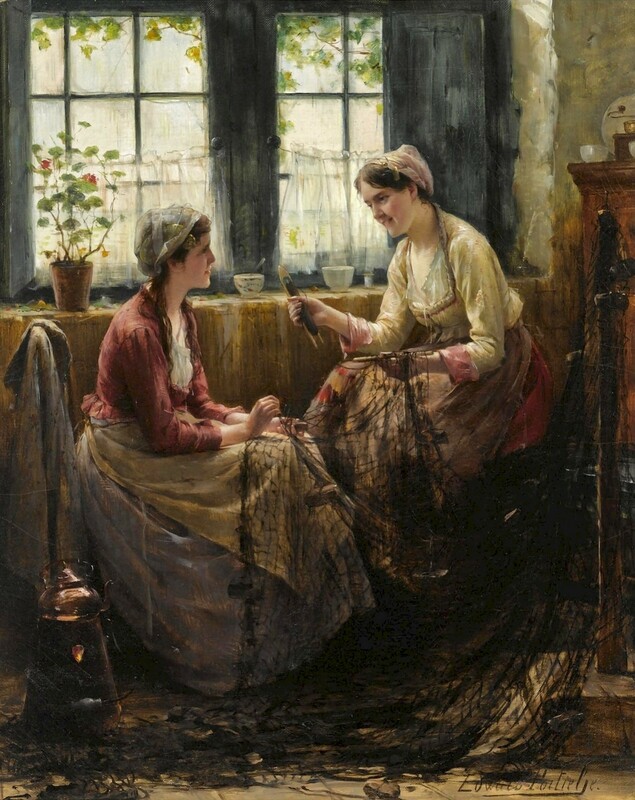 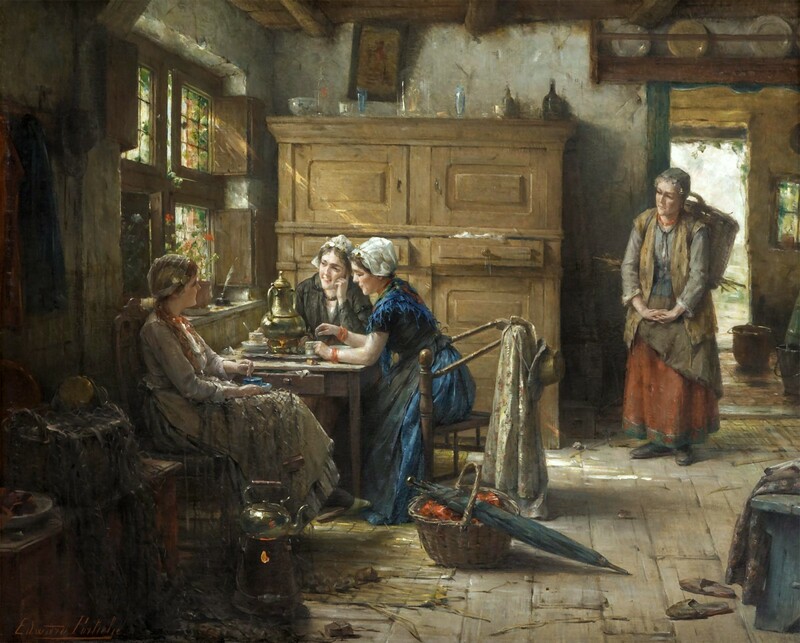 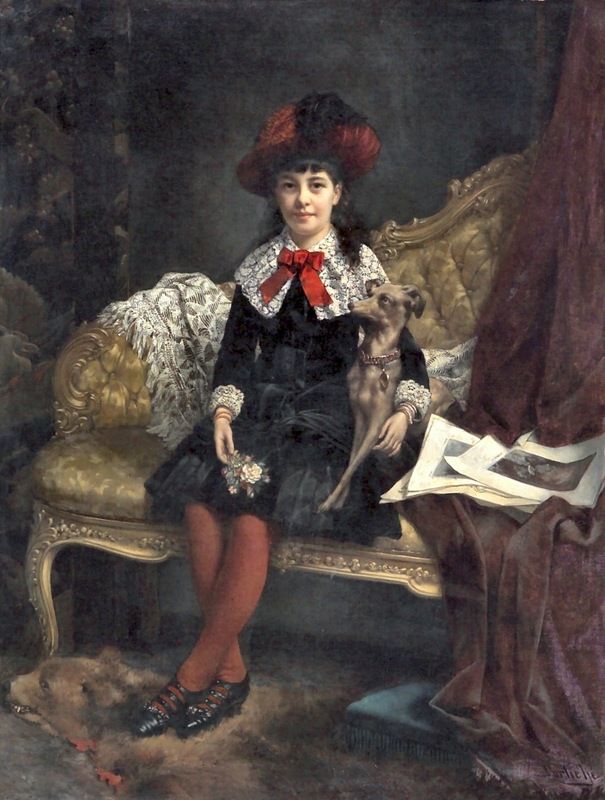 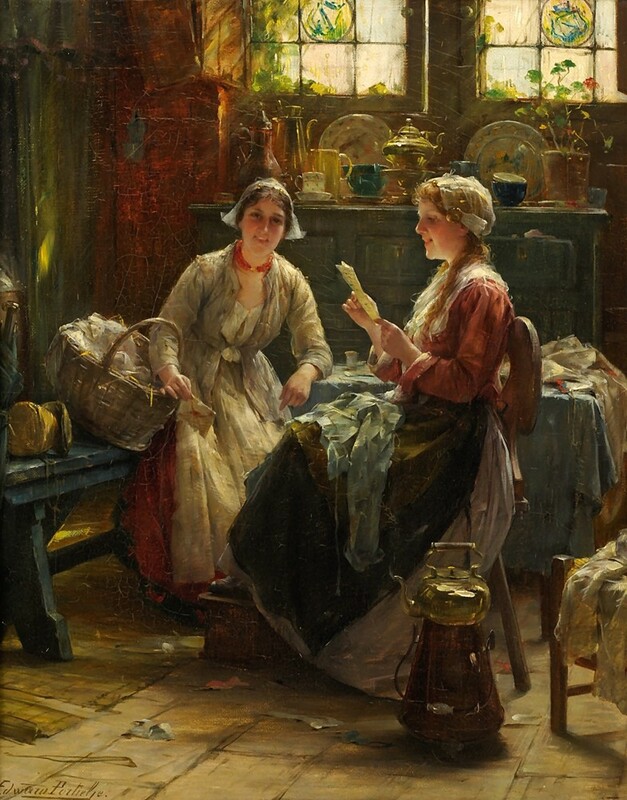 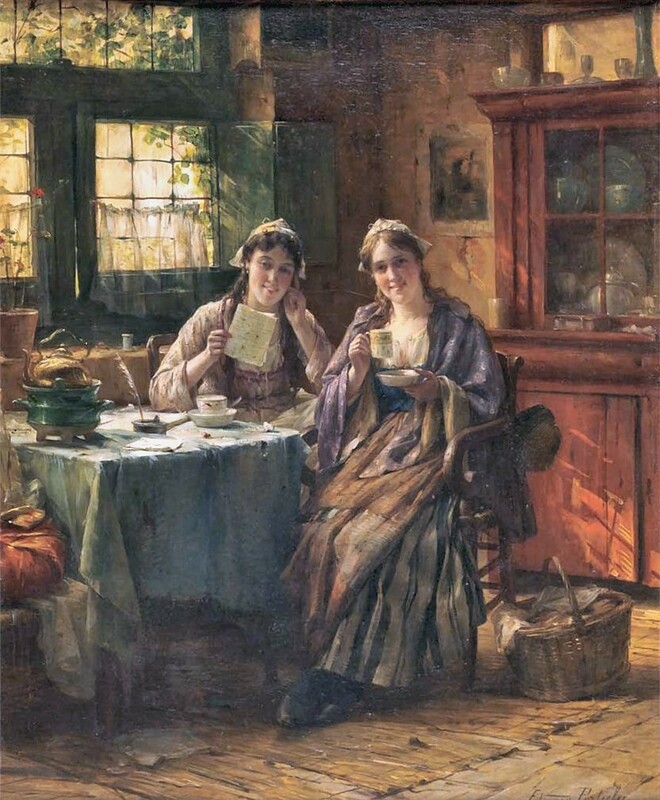 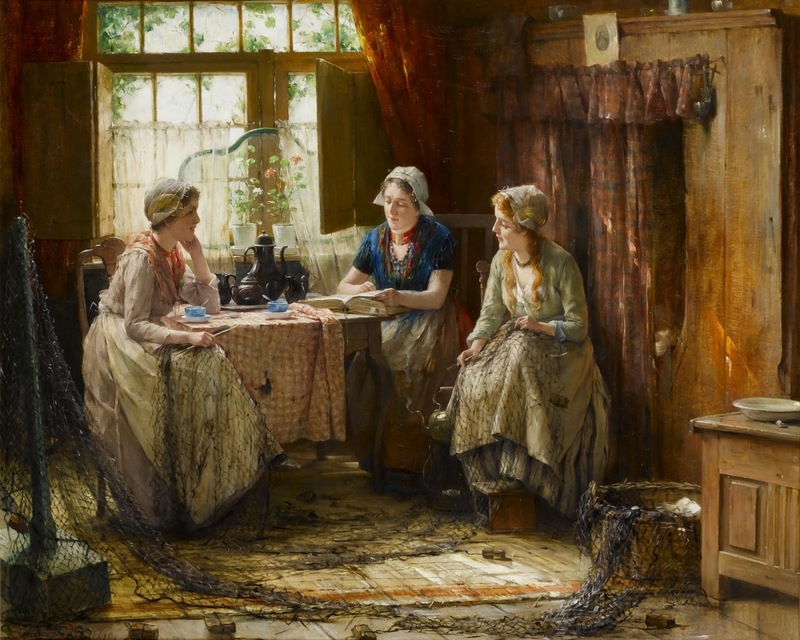 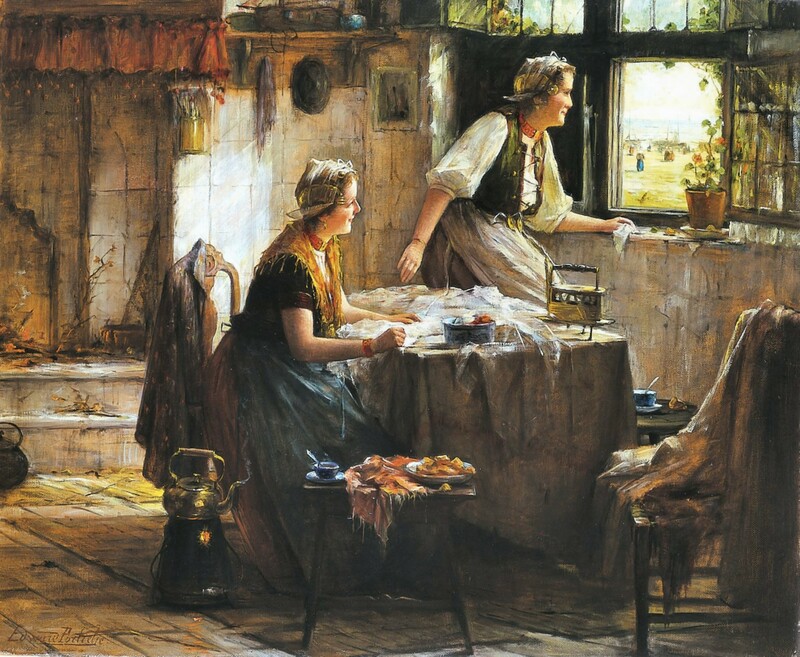 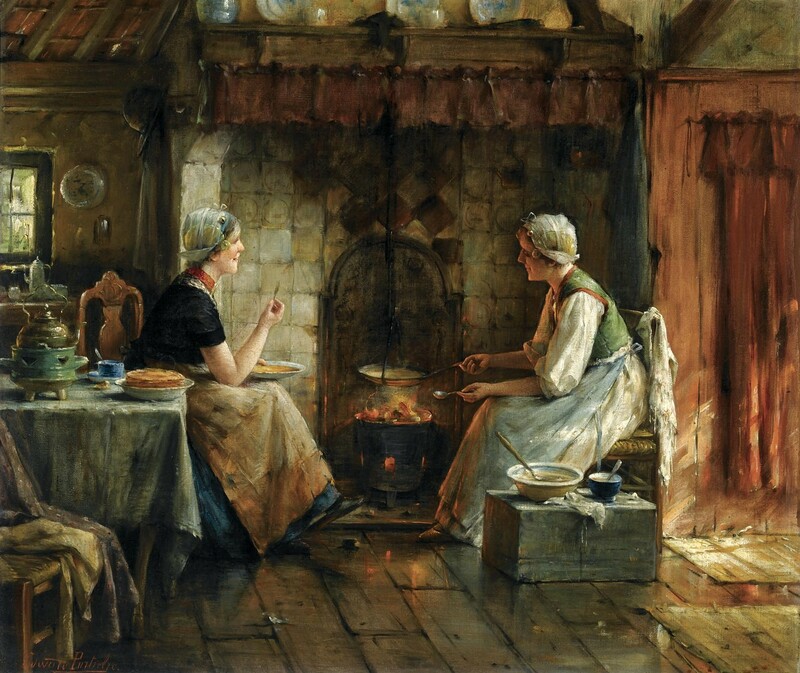 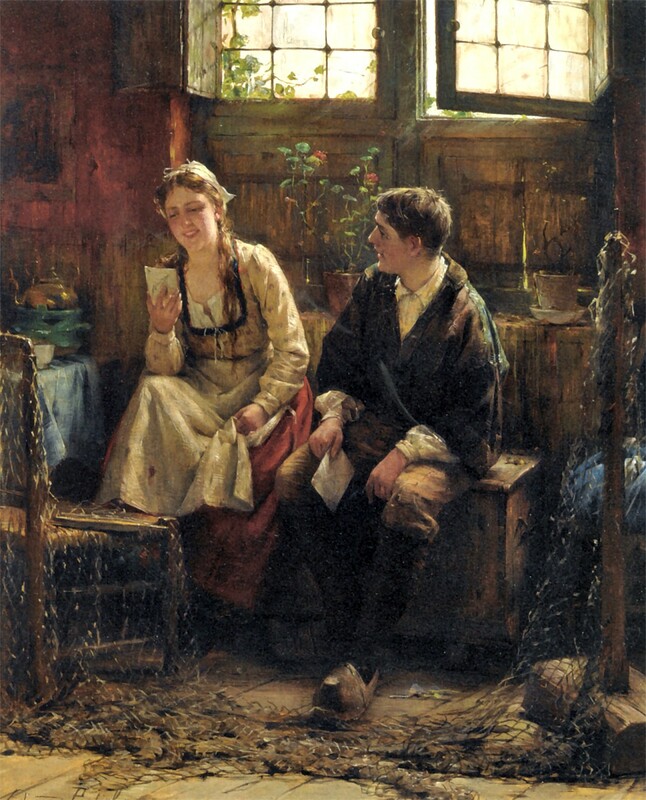 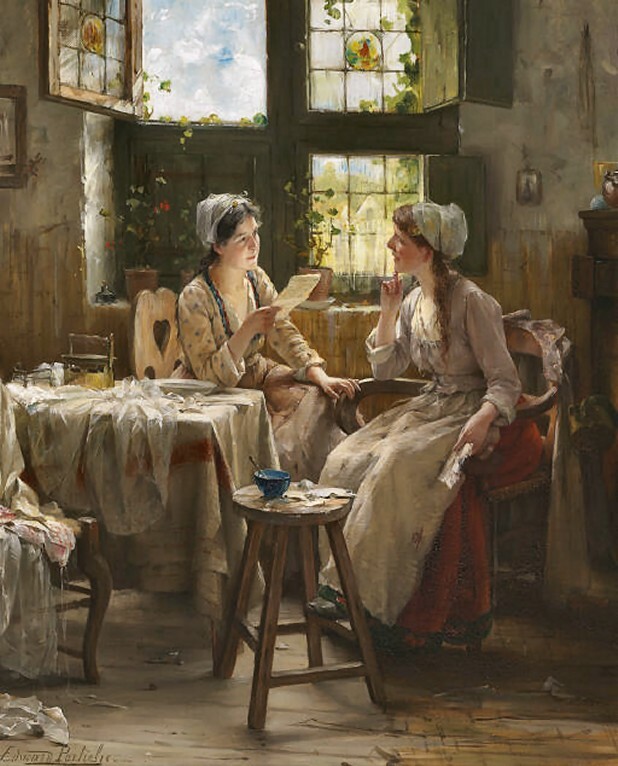 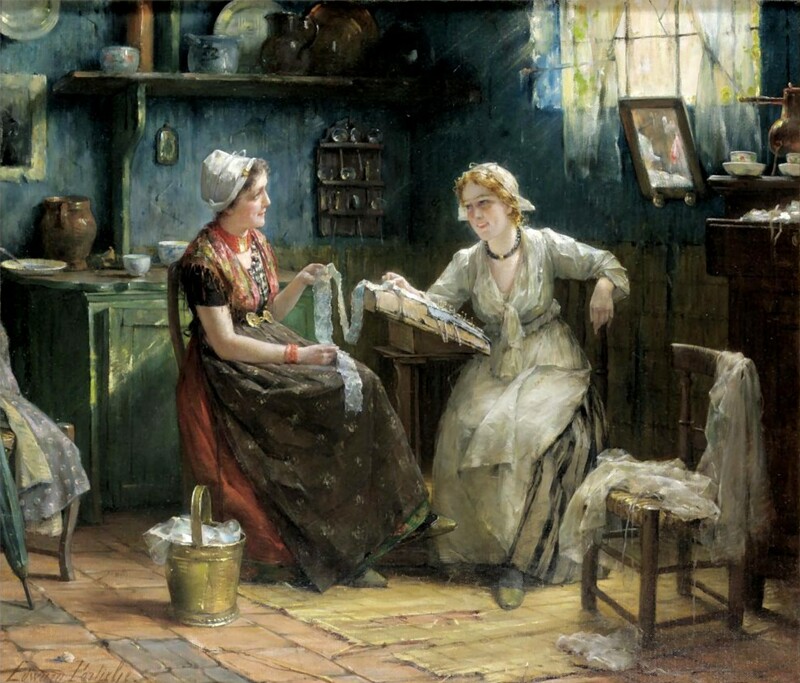 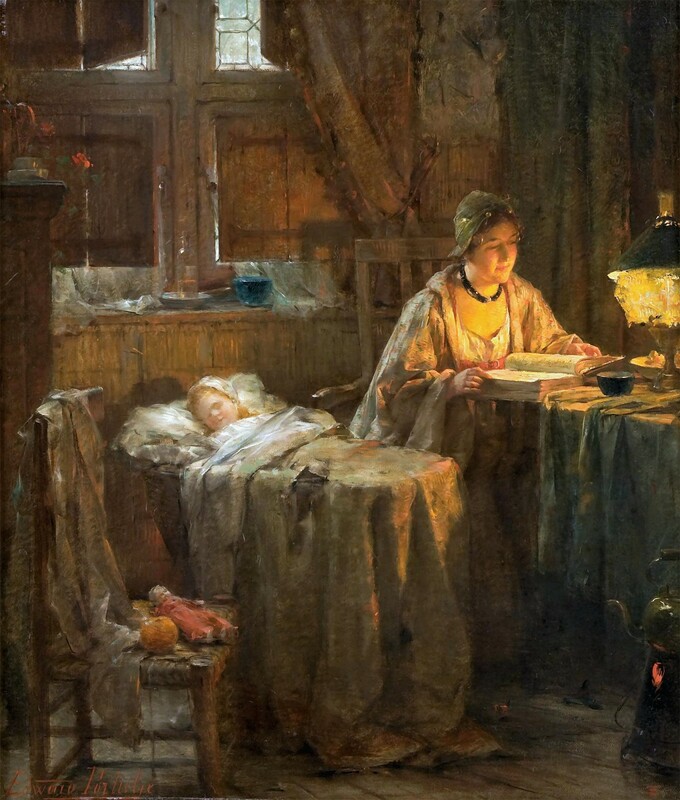 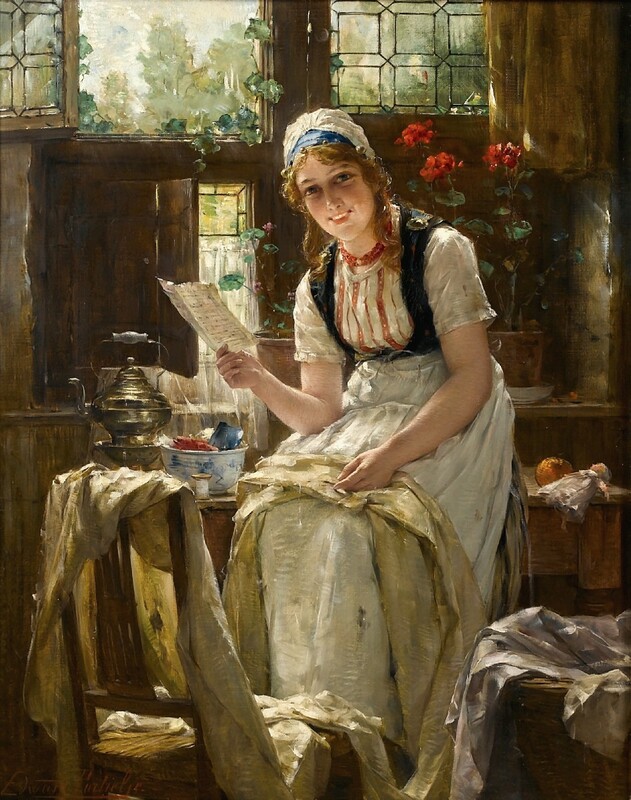 Edward Antoon Portielje (1861-1949) was born in Antwerp on 8 February 1861. 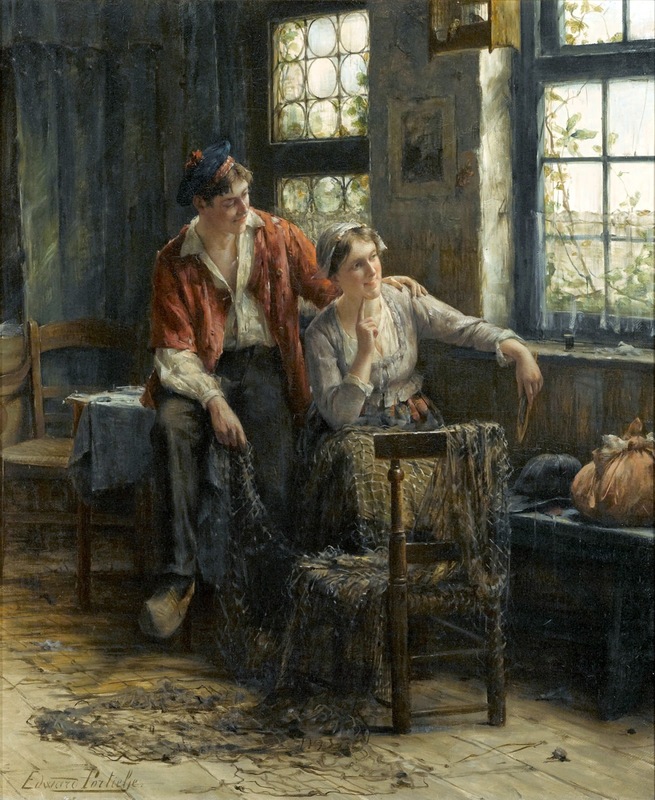 He trained under Charles Verlat (1824-90), who had taught at the Antwerp Academy since 1877 and became director of it in 1885. 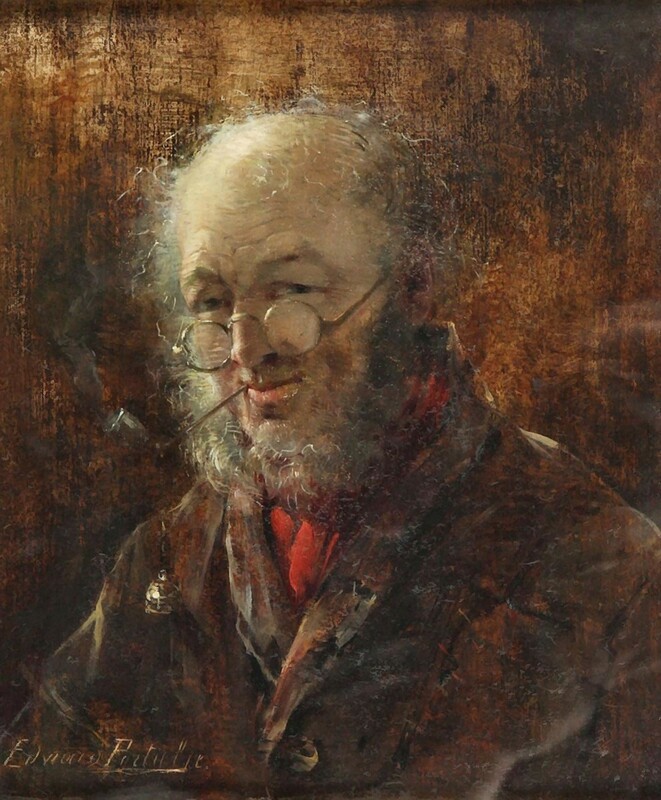 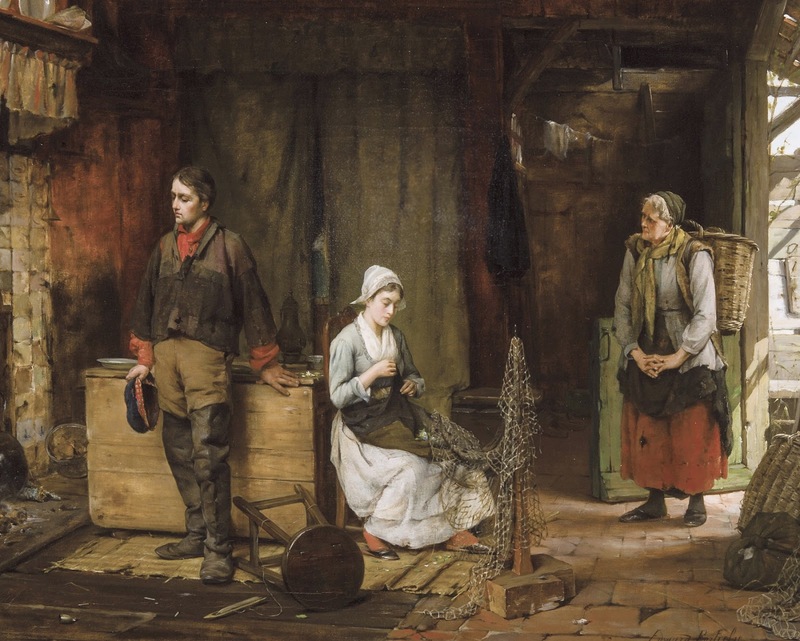 Like his father, Jan Frederik Pieter Portielje (1829-1908), a Dutchman, Edward Antoon Portielje devoted himself primarily to genre painting. 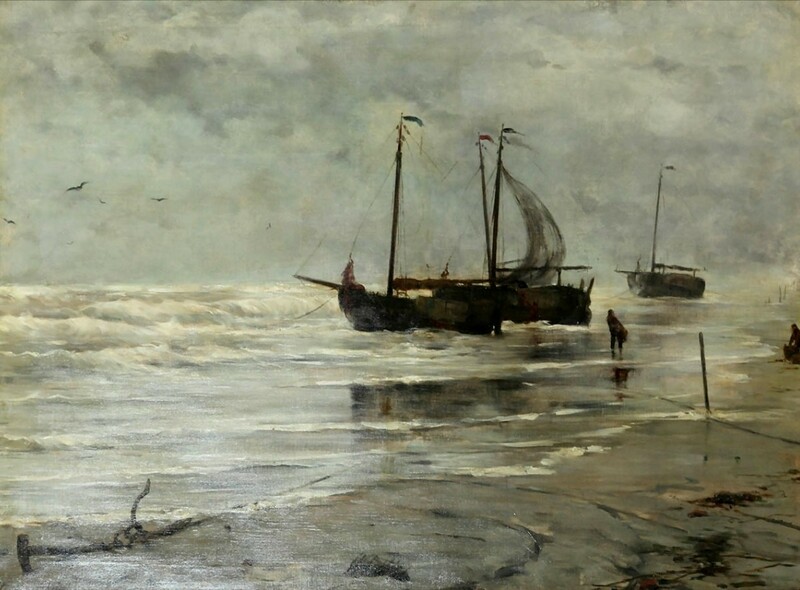 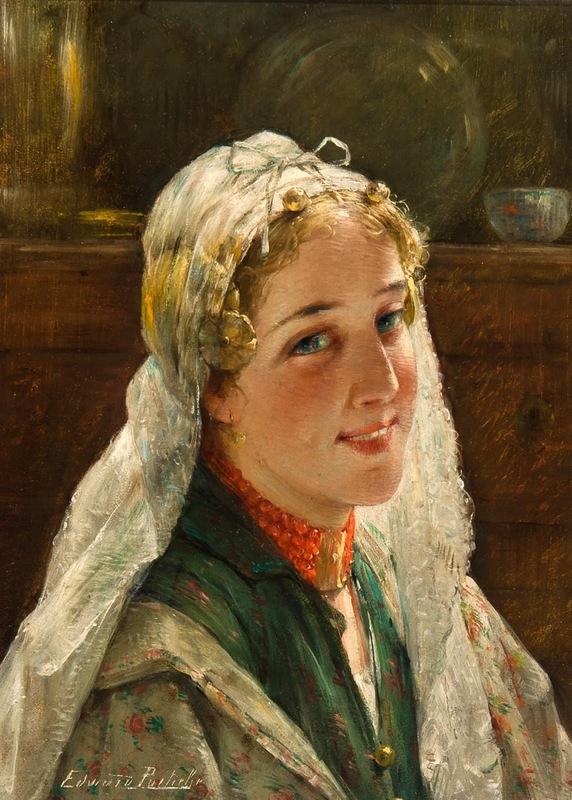 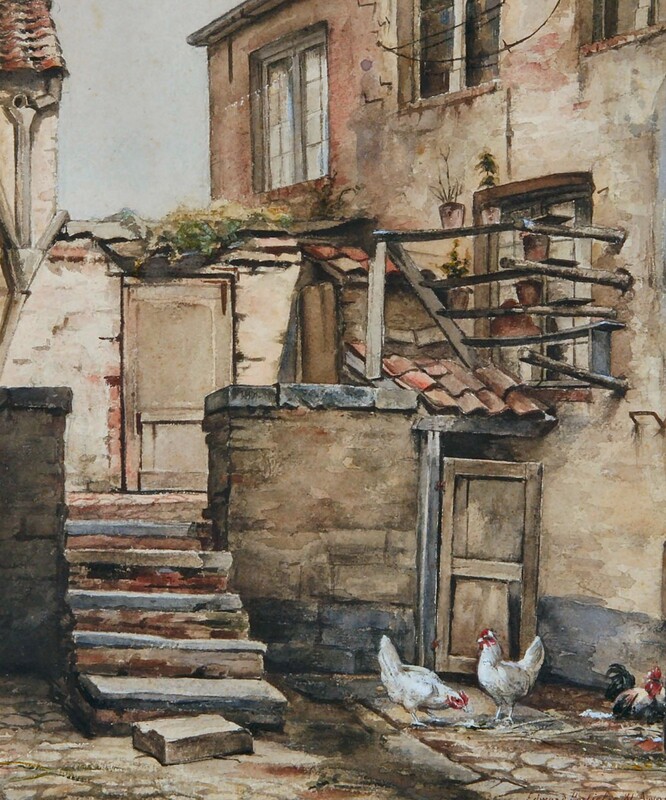 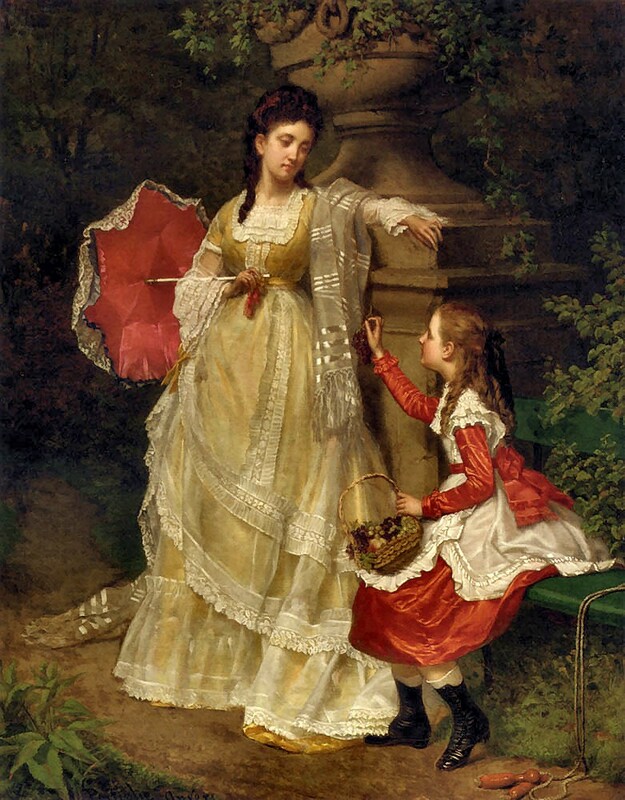 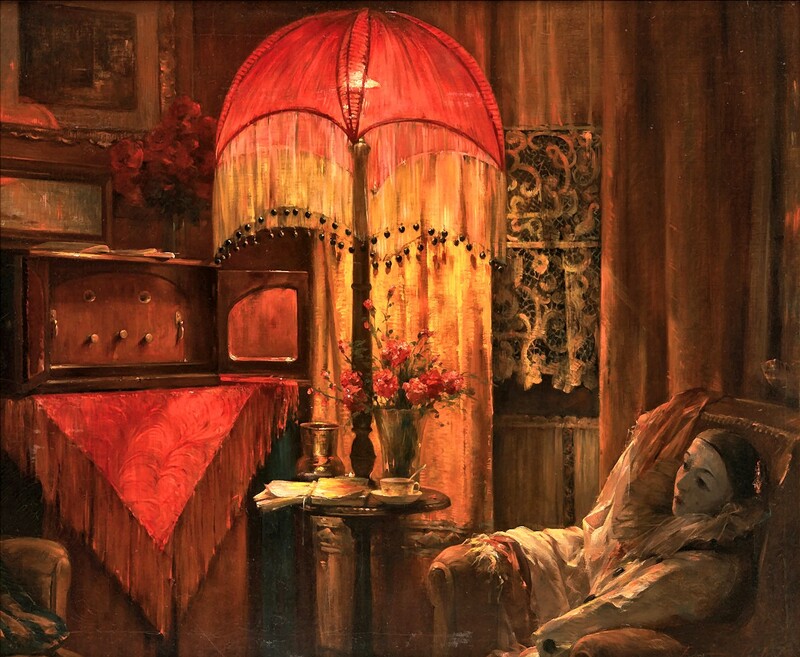 His elder brother, Gerard Jozef Portielje, also made a name for himself as a painter. 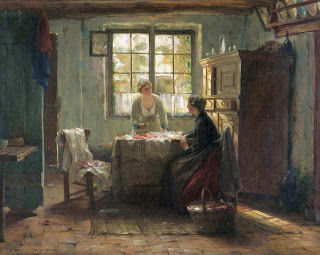 Edward Antoon Portielje died in his native Antwerp in 1949.